We are strict at product quality and skilled in international trading to make our customers comfortable to import goods. Our mission is to provide quality products and service, competitive prices and reasonable delivery time to our customers. 2. CHL to provide the professional quotation with details to customers based on customer's request. 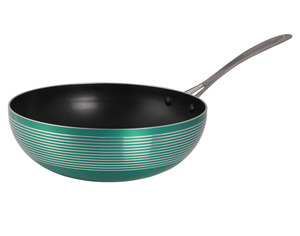 Q: products of your company 9 A: we specialize in enamel and non-stick cookware products. Q: how about the price9 A: we will give our customer the most competitive price among all the market at the same quality. Q: how about product quality9 A: we will supply all the products with the top quality to our customer. 7 YRS Yuyao Zhili Metal Products Co., Ltd. 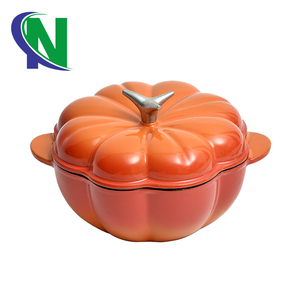 Item name: ceramic pan Material: ceramic Item number JQ-C027-1 Weight(kg) 2.6KG Size(cm) DIA:30.5*H:26 CM Inner Box (cm) 31*31*26.5CM Packing Carton (cm) 63*63*27CM Qty/ctn 4 pcs Qty/20'(pcs) 1080PCS Packing : brown box,white box,color box , gift box and brown carton or any you requirement Factory show: Shipping Shipping by air ,Our partner DHL,TNT,UPS Shipping by sea ,Our partner COSCO,CSCL,MSK,CMA Sample room show We are the manufacturer, ensure that your good quality and best service. Already established a long-term cooperative relationship with many countries and regions. Waiting for your contact. 10 YRS Zhejiang Lianxin Household Co., Ltd.
3. DO NOT place cold cast iron cookware on a hot burner. Placing hot cookware in cold water will damage the iron and may cause craking or warping. How to store: It is important to store the cast iron cookware in a cool dry place. Handle and knob : Stainless steel & Silicon combined handle and knob . + 1.5mm Iron + S/S 201 Capsule bottom . Straight shape,wide edge, G shape S/S lid, Stainless steel & Silicon combined handle and knob ,Mirror polishing outside and inside. 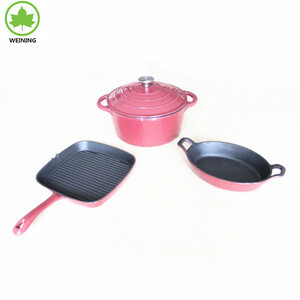 Alibaba.com offers 3,508 enamelware cookware products. About 26% of these are cookware sets, 23% are soup & stock pots, and 9% are casseroles. 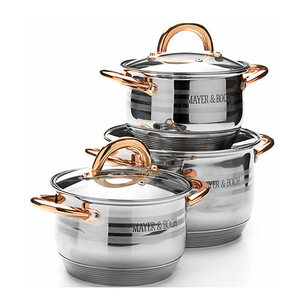 A wide variety of enamelware cookware options are available to you, such as fda, sgs, and ciq. 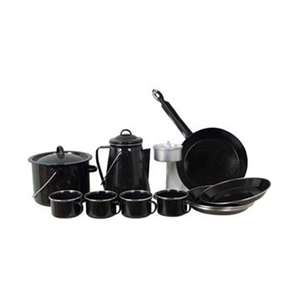 You can also choose from cookware sets, cooking tool sets, and utensils. As well as from eco-friendly, stocked. And whether enamelware cookware is metal, ceramic, or glass. 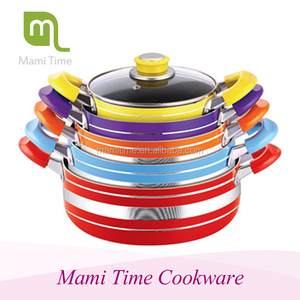 There are 3,508 enamelware cookware suppliers, mainly located in Asia. 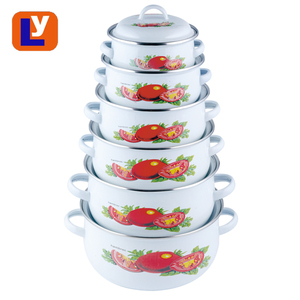 The top supplying country is China (Mainland), which supply 100% of enamelware cookware respectively. 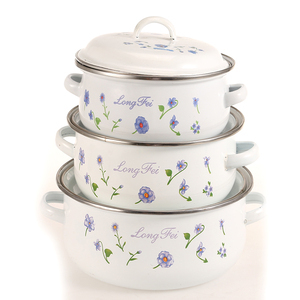 Enamelware cookware products are most popular in North America, Mid East, and Southeast Asia. You can ensure product safety by selecting from certified suppliers, including 2,267 with ISO9001, 495 with BSCI, and 202 with Other certification.